RUSH: Here’s Robey! Robey in Olathe, Kansas. Great to have you, Robey. How are you doing? CALLER: Good. How are you, Mr. Limbaugh? RUSH: Fine and dandy. Thank you very much. So what’s up? CALLER: So I’m dyslexic, and me and my mom drive 45 minutes twice a week to tutoring and we listen to you all the time. I think you’re so funny and you’re the best. RUSH: Wow. So, Robey, how old are you? CALLER: I have your first book and that’s it. I don’t like reading so much because I’m dyslexic, but I love reading that book. RUSH: How old are you, Robey? CALLER: I’m 14. I turned 14 on Friday, last Friday. RUSH: Can I ask you a question about dyslexia? RUSH: Would it make you nervous if I asked you? RUSH: What is hard about reading with dyslexia? I’m not sure exactly. I know what it is, but I’m not exactly sure how it affects you when you’re reading. When you’re trying to read a book with dyslexia, what doesn’t work? What happens? CALLER: It’s just… It takes me a long time to read the words. I can’t process the words exactly. So sometimes I’ll forget what I’m reading or I’ll be reading and it’ll just be really hard for me to read. RUSH: So what do you do to either fix that or substitute for it? Because you obviously like to read, so what do you do to accommodate it? CALLER: I am actually going to tutoring. So I’m getting tutored, just different skills and of how to read, how to break words down. So they’re just helping me with that. RUSH: And is it easier reading certain things? CALLER: Sometimes. Sometimes it’s just as hard for everything. But I really enjoyed reading your book. RUSH: Well, that’s what interests me. How long did it take you to read it? CALLER: You know, I… I’m not exactly sure. It was probably a few months. 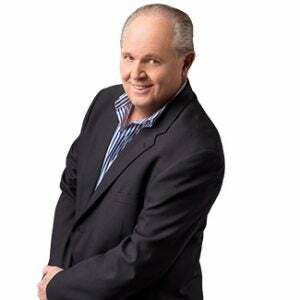 RUSH: It was able to hold your attention that long? RUSH: Well, are you able to listen to audio versions of books? Does that help, or do you like that? CALLER: Yes, I do. Yes, sir. RUSH: Well, you know what? I record the audio version of every book, and I put ’em on CDs, and I think it’d be perfect to send you a set of those. RUSH: I’ll send you the rest of the books too. You say you’ve read the first one? RUSH: All right. Well, we’ll send you the other four and the CDs so that you can just listen to them when you want to really race through them. I do all the voices, I do every bit of it, and they’re fun. I love doing these things, and it’ll be a thrill knowing that you’re listening to them. CALLER: Thank you so much! RUSH: Oh, you’re more than welcome. You just hang on. Hang on, Robey. Mr. Snerdley will be back and get your address. We have a whole Rush Revere package for people that like our books that we include here. So it will be the CDs, the other four books, and some surprises we’ll throw in there for you. RUSH: Because we’re thrilled. I mean, if you’re making this kind of an effort to read these books, it’s the least I can do to send you the CDs. Because that’s obviously, for you, gonna be the easiest way to absorb them. Plus you can hit the skip-back 10 seconds and listen to some things over if something confused you it. So it’ll be really helpful and I’m happy to be able to do it. So don’t hang up — and I’m glad you called me. I appreciate you letting me ask you questions about that. RUSH: Okay, Robey. Don’t hang up, Robey. Mr. Snerdley will be right with you. I know Olathe, Kansas. Olathe, Kansas, is right outside Kansas City. I have a very, very famous event in my life that happened involving Olathe, Kansas. I won’t bore you with it right now because we have to take a time-out.